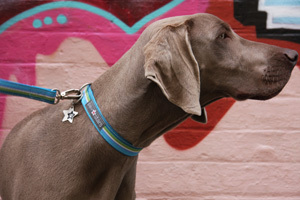 Archie is ideal for both male or female dogs, with shades of blue and a touch of green and white. All "Archie" dog leads are 120cm long and made from strong nylon webbing with ribbon stitched on both sides for maximum impact. Looks stunning with a matching "Archie" collar! !